Judith Marchand Judy’s work in clay is known for its strong understated shapes and references to the natural world. 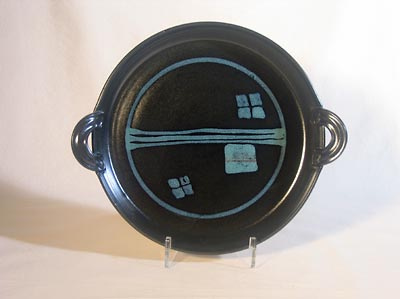 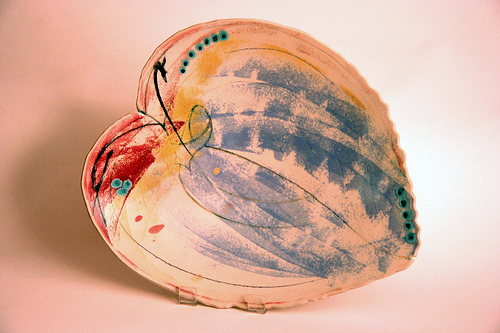 Working with stoneware, her functional pottery and decorative pieces are wheel-thrown or slab-built, often decorated with bold brushstrokes. 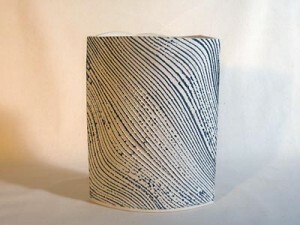 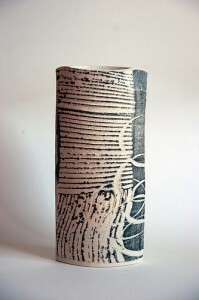 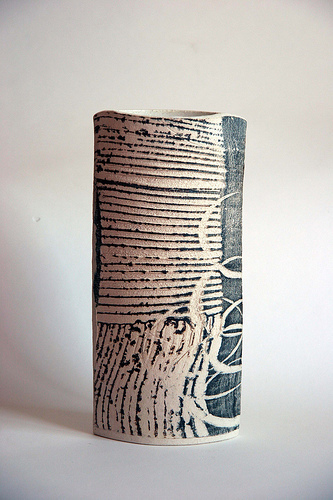 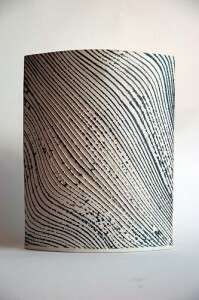 She draws inspiration from natural forms, especially fossils, shells and rocks, the very components of clay itself. 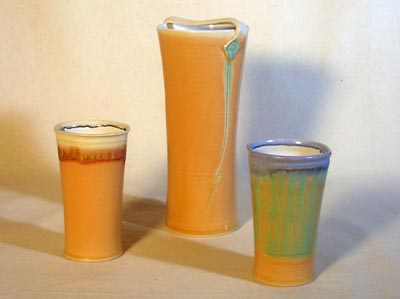 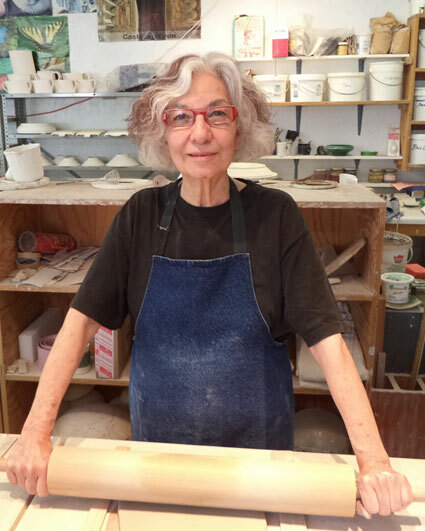 Marchand says that from childhood “I was fascinated with the idea that you could make things from clay.” As an adult she began taking evening classes at the local art gallery and became obsessed with learning to throw on the potter’s wheel. 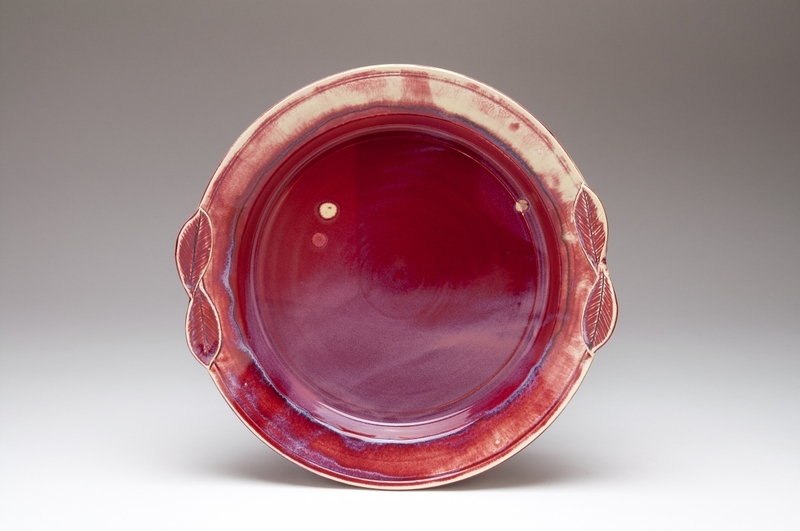 Largely self-taught, Marchand honed her skills through classes and workshops, reading books on pottery, and keen observation of form and function. 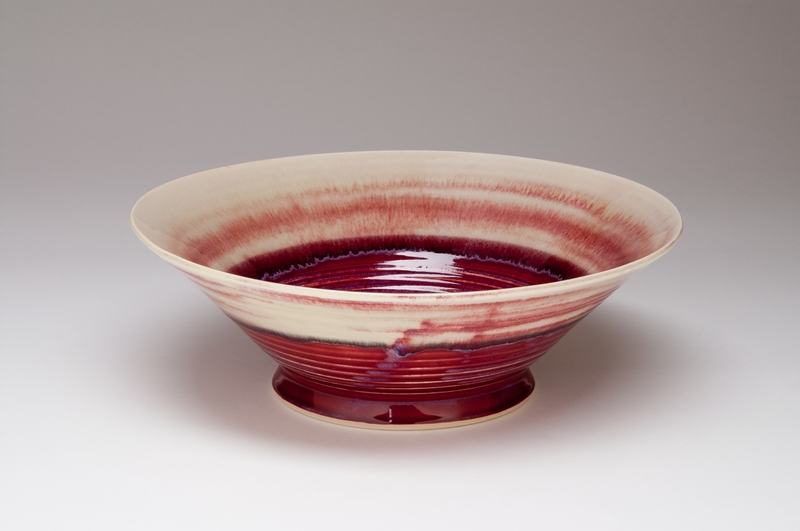 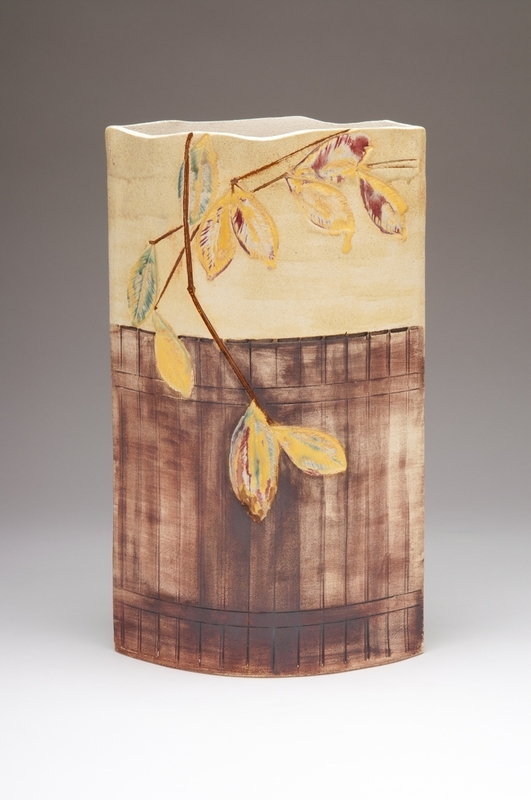 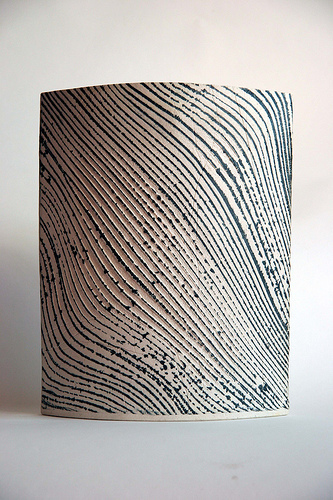 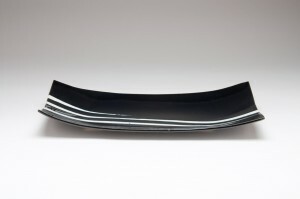 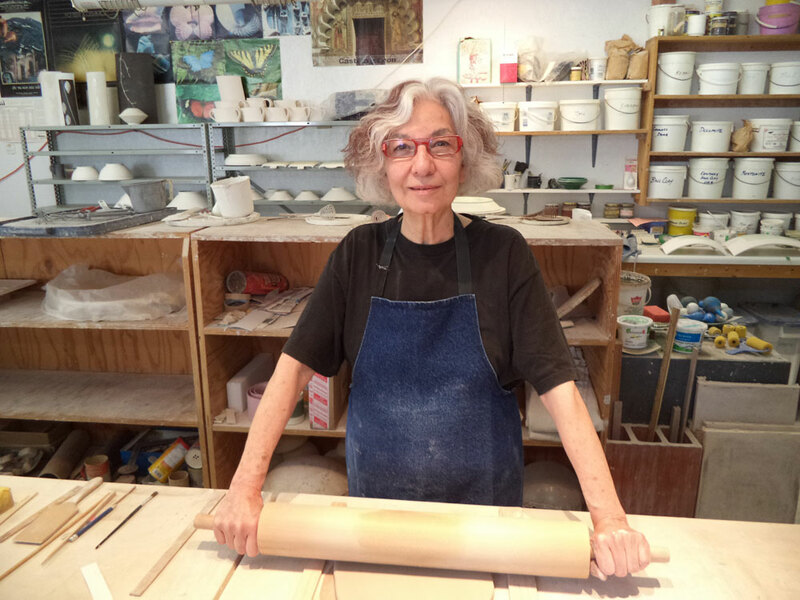 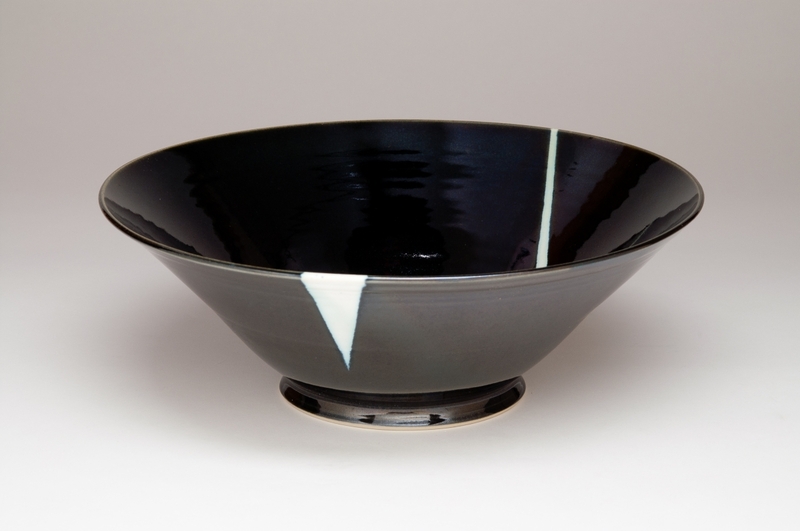 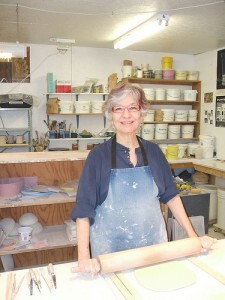 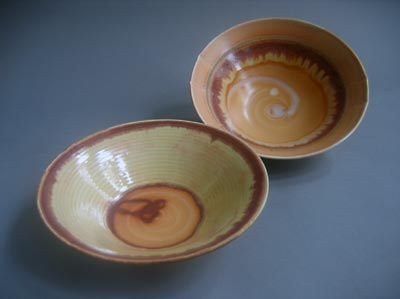 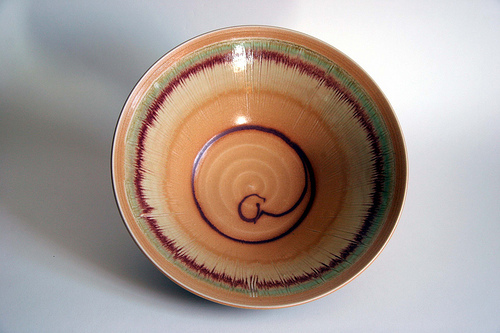 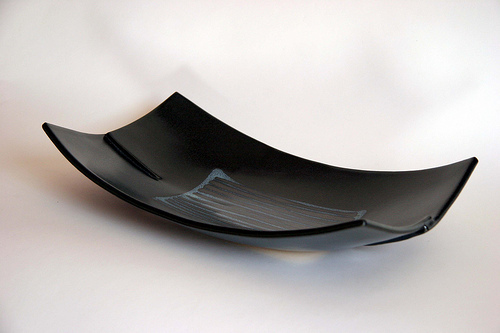 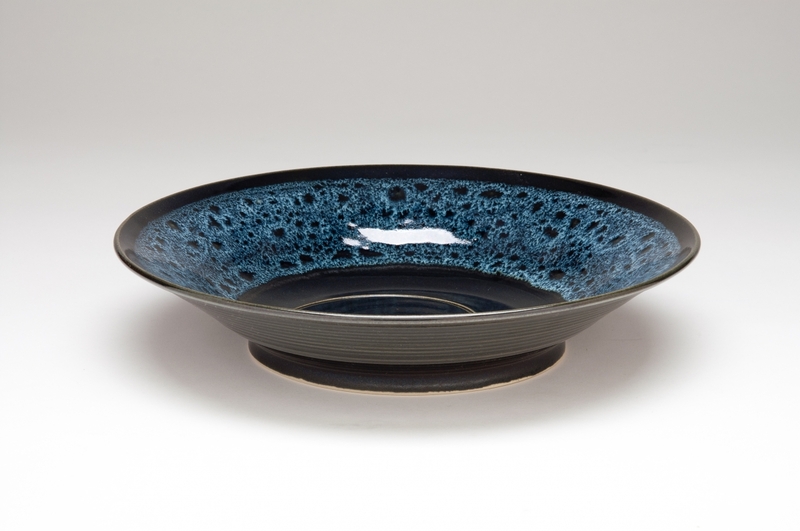 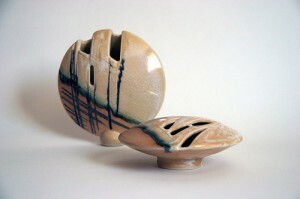 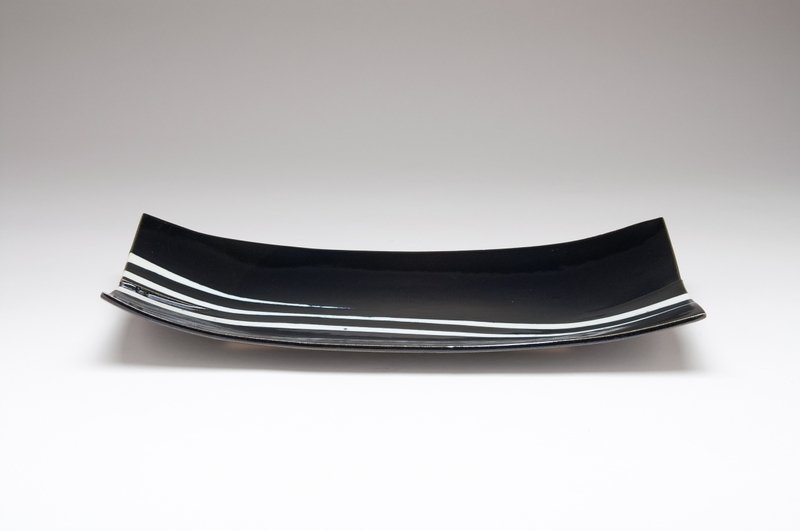 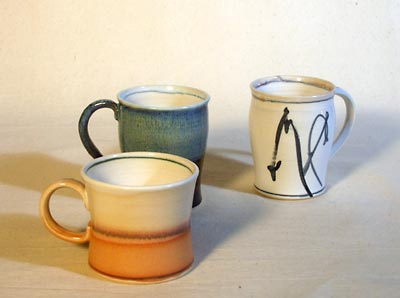 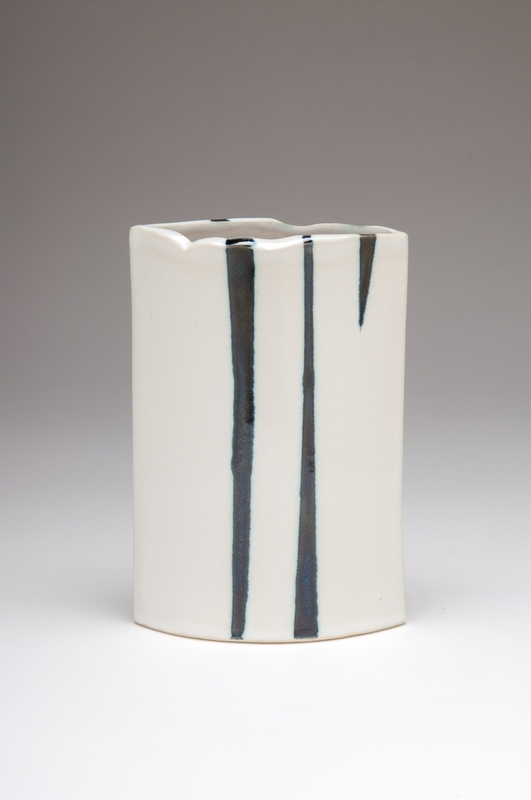 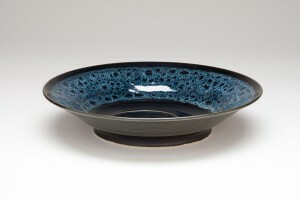 Her work as a potter gives her a way to explore a sense of balance and integration. 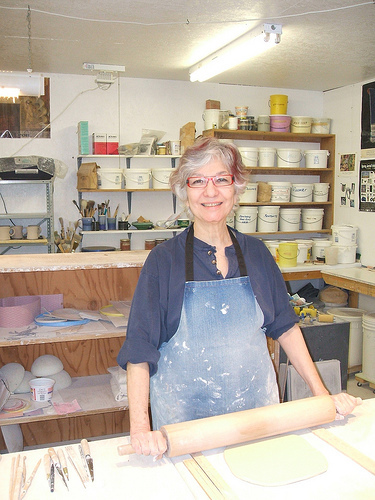 Like most craftspeople, Marchand shares the philosophy that craft brings inspiration to daily life. Through the mastery of technique and artistic sensibility, craftspeople create objects that are used every day in people’s homes and convey a sense of beauty and mystery. 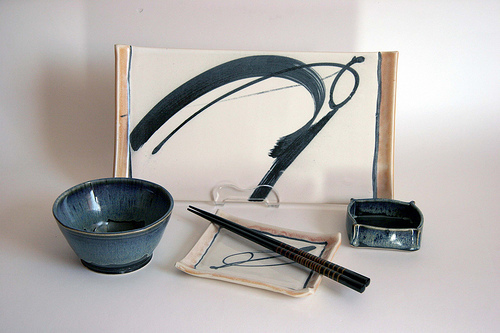 Hand-made objects occupy an intimate place in the lives of their owners, who interpret their use, and bring the object to life every day. 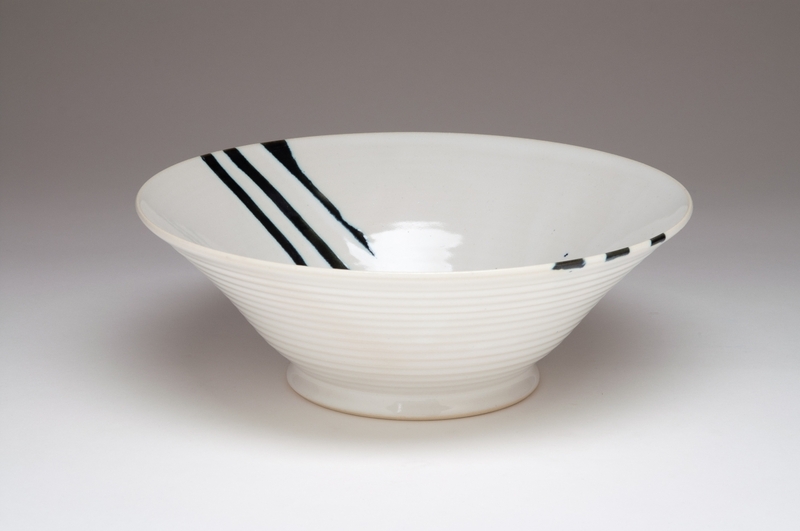 “There is very little between the maker’s hands and the finished product” muses Marchand, who notes that craft connects us to a pre-mechanized world when some form of craft was practised by almost every person. 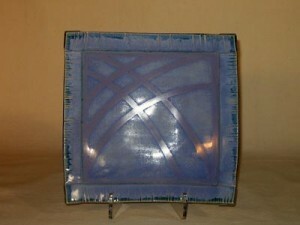 All the work shown is fired in an electric kiln. 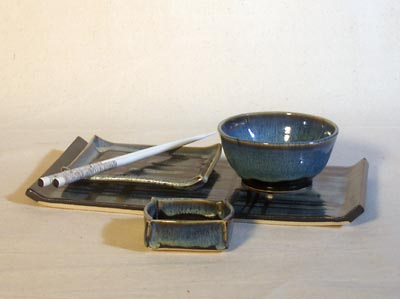 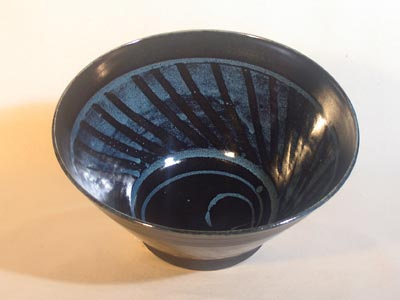 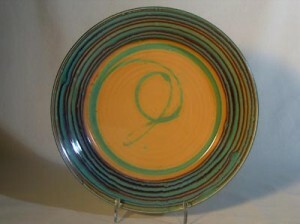 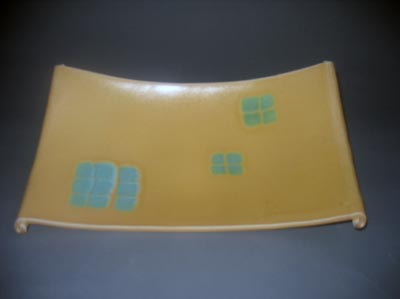 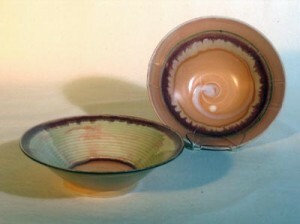 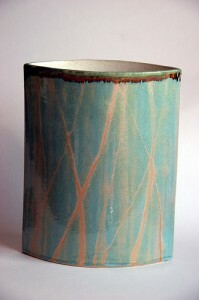 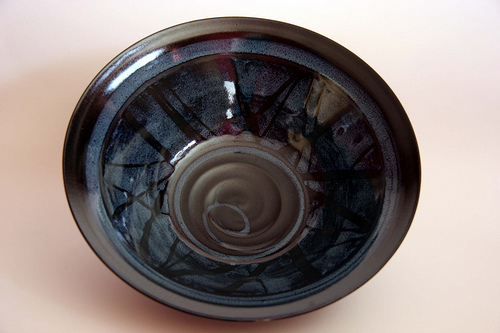 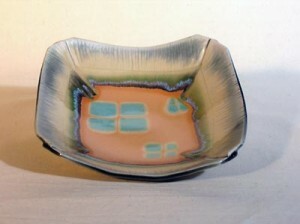 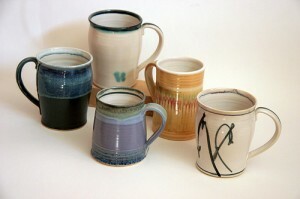 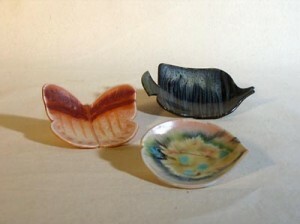 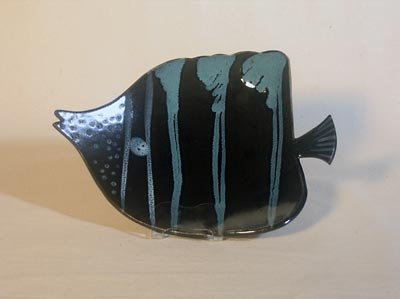 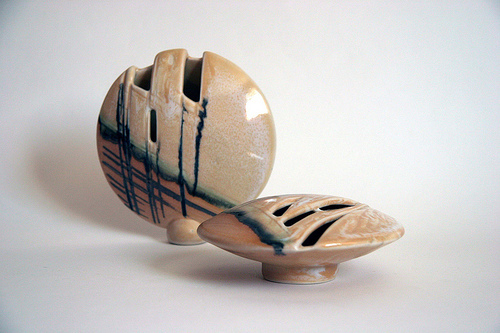 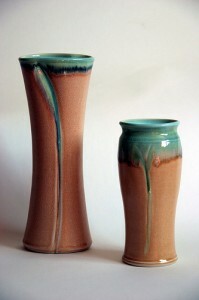 A single glaze is applied to the piece and then combinations of oxides and other glazes are brushed and trailed on top.